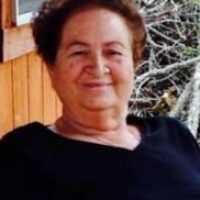 Services for Geneva Holt-Terrill, 80 of Claremore, Oklahoma will be at 1:00 PM on Thursday, April 18, 2019 at Round Mountain Church in Gore, Oklahoma. 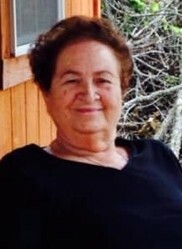 Burial will follow at Garden of Memories Cemetery in Vian, Oklahoma under the direction of Agent Mallory Martin Funeral Service, Inc.
She was born on March 9, 1939 in Marble City, Oklahoma to Viola Mable (Seay) Forbus and Freeman Clarence Forbus and passed away on April 13, 2019 in Tulsa, Oklahoma. She was married to Junior Leon Holt on May 16, 1955 in Wichita, Kansas. He preceded her in death. She married Charles Ray Terrill on March 24, 1990 in Coweta, OK. He also preceded her in death. She was the owner and operator of a beauty supply and restaurants. Active pallbearers will be Matt Jason Holt, Jeff Hurst, Jeremy Miller, Adam Kruis, Kenneth Willis and Caleb Green. Honorary pallbearer will be Will Johnson.